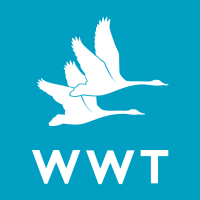 At WWT, we create and conserve wetlands and save species. We bring awe-inspiring nature up close and let it do the talking. In this role you will be assisting the Aviculture team in all aspects of caring for the birds in our living collection. This role would be an ideal placement for someone studying Animal Care/ Biology/ Ecology/ Conservation Science who is looking to gain hands-on experience. How much time will it take? We are looking for volunteers who can offer 3 to 5 days per week, for a minimum of 6 weeks from April. Days start at 8.00am and finish at 4.30pm. Assisting with the cleaning of duckery ponds, coops and housing facilities. Maintenance of pens and breeding facilities. Bird feeding according to best practice guidelines. Assisting with bird catches and movements. Using training techniques to support the bird team in their work. Assisting with feeding in on-show areas. The potential for research experience and censoring techniques. The potential for experience in bird habitat and exhibit design. An induction in bio-security and best practice care. To be a team player with the ability to work under your own initiative. Experience in bird keeping and practical habitat management. Ability to work independently and self-motivate. Tractor, lawn mower and strimmer qualifications desirable. Full UK driving license desirable. This is an excellent opportunity to volunteer within an internationally important wetland site in a really hands-on role. A review after the first month to ensure the role is right for you. Accommodation in the volunteer hostel for full-time volunteers subject to availability. A suitable reference to help you apply for jobs.